CIC Agri Businesses commenced the export of banana to Europe recently with the first consignment being shipped to Italy and Albania last week. 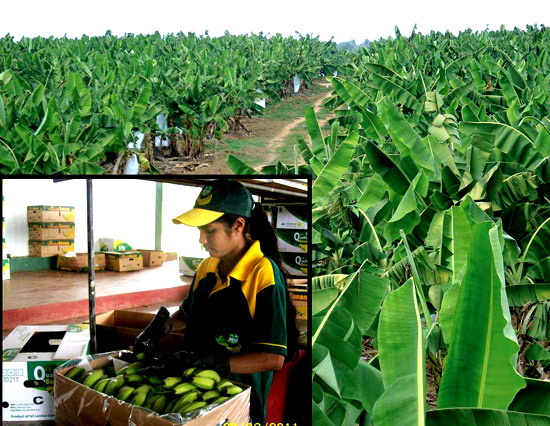 The cavendish type banana is cultivated in their farms in Hingurakgoda and Pelwehera. According to a company spokesman CIC Agri Businesses will be exporting between 25 to 50 metric tonnes of banana every month to European countries. Nestle Lanka PLC plans to invest Rs 600 million to setup a new noodles plant in Pannala. The company sources told Daily News Business that the new noodle plant in Kurunegala is scheduled to start full scale operations on January 11. This new facility will enable Nestle Lanka PLC to further expand its business throughout the country’s fast growing noodles market.